Joe Norwood works with adults and juveniles whose charges range from misdemeanors to felonies. This includes drug offenses, DUIs, assault and battery, murder/manslaughter and white collar crimes. If you are arrested and charged with a crime, it’s imperative to hire a criminal defense attorney as soon as possible. Joe’s immediate focus for a new client is to obtain the lowest possible bond. If the client cannot afford their bail, he will provide representation at a bail bond reduction hearing. Having years of experience as a Tulsa criminal defense attorney, Joe has a deep understanding of the judicial process, as well as the potential risks to freedom and liberties that many people face moving through the criminal justice system. 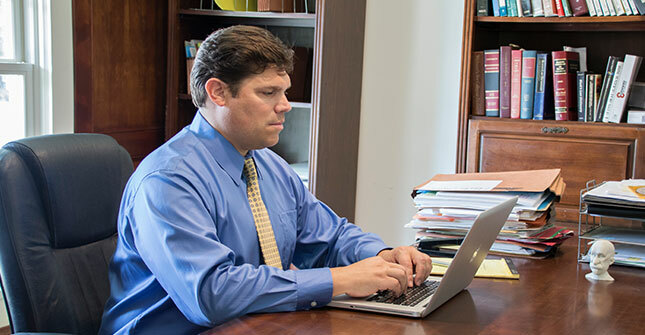 Joe focuses on offering his clients legal advice and representation that can help to secure their future, while minimizing sentencing and other potential consequences that may be associated with their criminal case. Joe has experience practicing in federal, state and municipal courts. He has successfully represented clients in pleas, settlements and jury trials in the United States District Court for the Northern District of Oklahoma, the Oklahoma District Court for Tulsa County, and the Tulsa Municipal Court. Joe has handled numerous cases in the greater Tulsa County, Rogers County, Wagoner County,Osage County and other northeast Oklahoma counties. As a criminal attorney, Joe’s mission is to protect people accused of crimes from overzealous prosecution while also securing acquittals, deferred sentences, and ensuring minimal sentences. If you or someone you know is facing criminal charges please contact Joe for a free consultation.